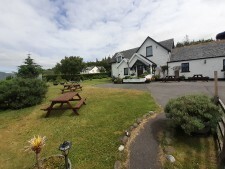 The Pennyghael Hotel is situated in an idyllic location, on the shore of Loch Scridain on the stunning Hebridean island of Mull. We provide friendly and comfortable hotel & self-catering accommodation. We also serve evening meals to residents and non-residents alike from 6.30 to 8.30. Please Email - pennyghaelhotel1@gmail.com or call us on 01681 704288 for more information. 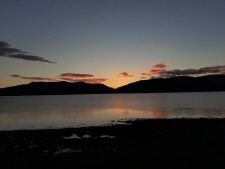 We have six comfortable guest rooms, all of which have great views of Loch Scridain , Ben More and room 4 the gardens . Prices for B&B accommodation at £120 per room, per night, aduts only. From time to time we offer a discount for longer stays, there is a surcharge for one night stays when available. We also have two holiday cottages situated within the hotel grounds - The Pine & The Clansman. We accept bookings from Saturday to Saturday between April & September (No pets allowed). Please call 01681 704288 or email pennyghaelhote1@gmail.com for more info.